Boy's silk bow ties from designer Isaac Mizrahi. The bow ties measure 3.5 inches long by 2 inches wide for ages 2 - 8 approximately. 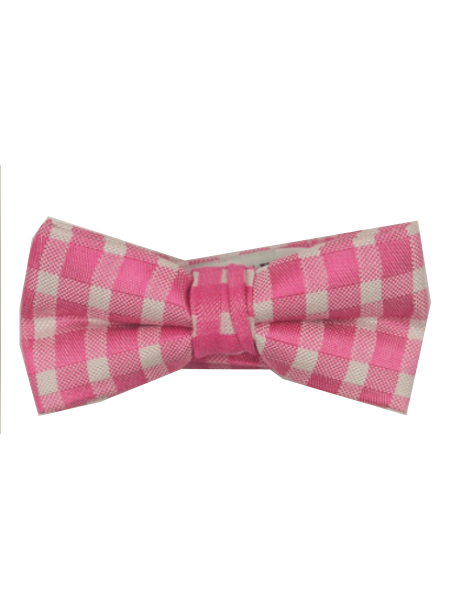 The featured bow tie is a bubblegum pink check. The material is 100% silk. Adjustable neck strap.